The Roland PM-03 Drum Monitor contains some very impressive specification and components within its sleek and stylish exterior. Ideal for anyone that uses a Roland HD or TD based V-Drums kit at home, the PM-03 will deliver clarity and power to maximise your playing experience. The Roland PM-03 Drum Monitor is the first in its class to utilise a 2.1-channel system. This delivers a clear stereo projection, even from a single unit. 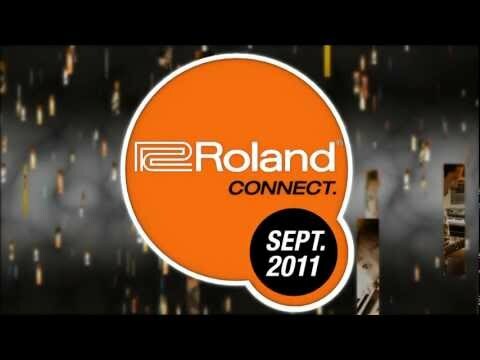 The Roland PM-03 will astonish you as to how wide the stereo field sounds. The built in 5" woofer and 2 x 3" full-range speakers make sure that you will hear thundering lows, smooth mid-range and shimmering high's. In other words, the Roland PM-03 is designed to recreate the superb sound of the V-Drums, exactly as they were intended. Another superb feature of the Roland PM-03 Drum Monitor that makes it ideal for the home is it's ability to switch itself off should it not be in use. The PM-03 detects if no audio has been passed through it and after 30 minutes, will put itself in standby. This is great if you have children that may forget to power off the unit after practice and is peace of mind when it comes to your energy bills.